It is already clear to everyone that iOS 7.1.1 version came with several bugs, some minor and other very annoying. The Notification Center bug is one of the annoying ones, but hopefully there is a solution for it! Fix Notification Center Bug on iOS 7.1.1 version – What are the symptoms? Basically, this bug “was born” when the iOS 7.1 version released, and it keeps on bugging people at the iOS 7.1.1 version too. You can Fix Notification Center Bug on iOS 7.1.1 version, but first you have to identify what is the problem. The notification center has three tags, the “Today“, “Missed” and “All“. Normally, the Notification center should open to “Today” tag, unless you have updates on “Missed” or “All“. 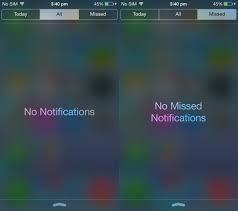 This bug, keeps your notification center at “Missed” or “All“, even when you do not have any missed notifications. How to Fix Notification Center Bug on iOS 7.1.1 version? Many people spread on the internet that this might be a hardware failure, but I can assure you that this is not the case. 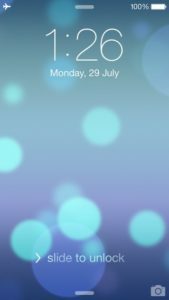 This is definitely an iOS bug, and this is why the following tutorial will help you to Fix Notification Center Bug on iOS 7.1.1 version! Try to make a Restore to iOS 7.1.1 version if you still have the Notification bug, and then re-do the whole process. Is this permanent – Fix Notification Center Bug on iOS 7.1.1 version? This is something I cannot tell, because iOS 7.1.1 version is live for only 2 days, and this solution was found today. The good news are that this tutorial works, and it will Fix Notification Center Bug on iOS 7.1.1 version! There are also some Freeze issues with the 7.1.1 iOS version, but they can be fixed! Hey there. My name is Zisis and from the moment that I remember myself, I was constantly tryig to figure out how electronic devices are working. For the past 9 years, I am trying to learn as many things as possible for iPhones and Android devices and especially of their "hidden" issues. You will read many articles from me, focusing on iPhone & Android IMEI Check services, results and "translation".